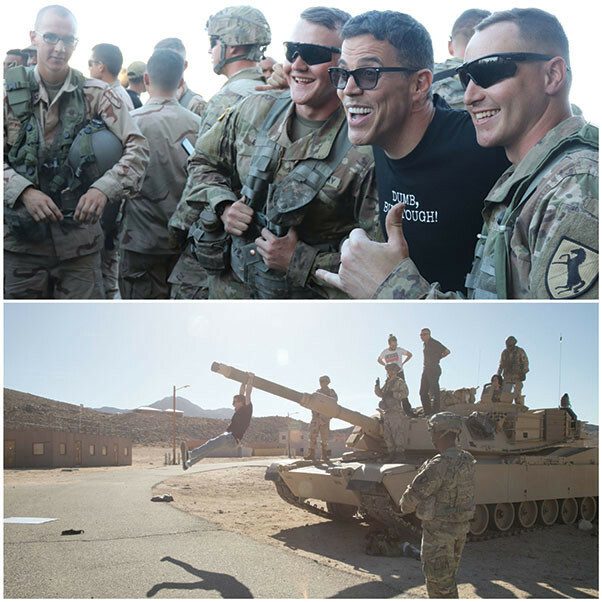 Some of Hollywood’s finest, including actors and filmmakers, Las Vegas and other corporate executives, and other leaders, got a little taste of the training that thousands of soldiers experience 10-months out of every year at Fort Irwin. The VIP Box Tour is an immersive experience with three, main goals: Connecting soldiers with companies/businesses/executives/leaders who can assist them (and their spouses) with jobs and transitioning into the civilian workforce; Introducing Hollywood and others into the rigorous, real-life training and lifestyle of a Soldier and their families; and to help ensure Soldiers and their families are properly portrayed on the big and little screens now that they have better knowledge of what they do. 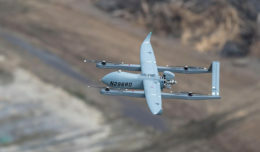 Guests had the chance to load up in training gear, fire high-powered weapons, experience heavy sight, sound and smell tests, climb inside armored fighting tanks, as well participate in scenarios where they kick in doors, catch bad guys and save those in need. 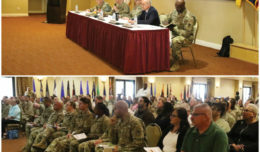 The common theme from visitors was their greater appreciation for what military spouses and families have to go through while their Army member is training and fighting. Read below on why some of the guests told the High Desert Warrior they thought it was important to participate. Some of the other guests included leaders from Caesar’s Palace and MGM in Las Vegas, Nevada; Richie Stephens (MacGyver); Brig. 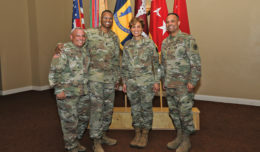 Gen. Belinda Pinckney, and Christina Pascucci of KTLA news put together a TV news story on the event. Says he thinks the Army is perhaps more disciplined than I am. Military Connection: Several males in his family (nephews, cousins, father-in-law, both grandparents on both sides); He plays a lieutenant commander on the TV show, SEAL Team.